Mayor Rahm Emanuel joined the Chicago Architecture Biennial to announce the 2019 edition, titled …and other such stories, will focus on the field of architecture and the built environment globally. 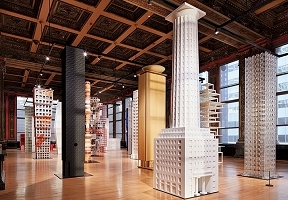 The third Chicago Architecture Biennial will run from September 19, 2019 – January 5, 2020. The Chicago Architecture Biennial will be centrally located at the Chicago Cultural Center, with commissions, residencies, partner projects, and public programs hosted throughout the City. …and other such stories will explore societies and environments using four themes: landscapes of belonging and sovereignty; sites of memory; rights and advocacy; and civic participation. 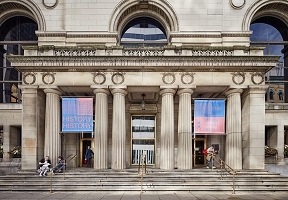 The 2019 Biennial team includes Artistic Director Yesomi Umolu, a contemporary art curator, and co-curators Sepake Angiama, a curator whose work centers on education, and Paulo Tavares, a Brazil-based architect and academic. For more information, visit chicagoarchitecturebiennial.org.